Snow in August (in Japan). On mount Hotoka. Unfortunately on the day we went this peak was covered in cloud. Anyway it was my first time to see a glacier. We were at alt. 1300m where the temperature was around 25C. The mountain peak is over 3000m high. 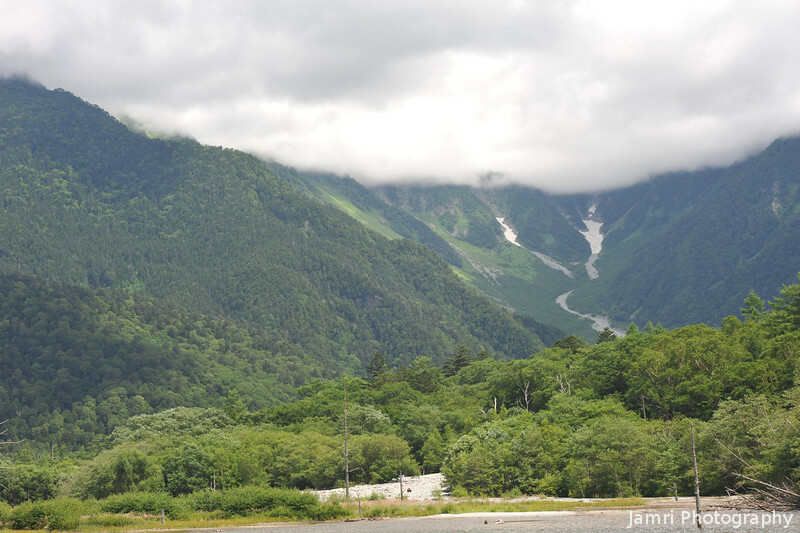 In the Kamikochi National Park, Nagano Prefecture.